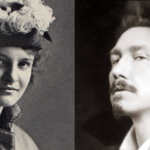 A biography which reveals the haunted origins of the man who created Dracula and traces the psychosexual contours of late Victorian society. ...an essential examination ... His command of the material combined with his gifts as a storyteller manage to make this an authoritative book without a dull moment, its wandering narrative always returning to the shadowy corners of Victorian sexuality ... Skal devotes considerable attention to speculating about the influence of Oscar Wilde, often with labored comparisons to Dracula ... with its emphasis on the unspoken and repressed passions of Bram Stoker, its most provocative point may be that the book transcended its time by being firmly a part of it. ...an exuberant combination of biography and cultural history that thoroughly investigates the real-life horrors of the Victorian era that influenced the creation of the Count. Copiously illustrated, it is a keepsake for any Dracula enthusiast. ...comes across as part psychosexual case study and part loose and baggy monster ... Striking factoids abound ... Skal particularly shines in his treatment of 'Hollywood Gothic' and he produces insightful pages about the silent film masterpiece Nosferatu, and the differing interpretations of Dracula ... Something in the Blood consistently represents Stoker as essentially a masochistic homosexual and Dracula as a book packed with homosexual frissons. The evidence for both claims is certainly there...But Skal truly belabors the psychosexual ... All in all, Something in the Blood simply feels overly speculative. 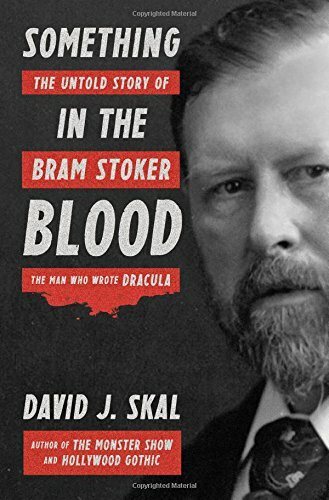 What did you think of Something in the Blood: The Untold Story of Bram Stoker, the Man Who Wrote Dracula?